Head Plumbing Service Los Angeles Plumbing is a licensed, bonded and insured plumbing company providing first class plumbing service to Los Angeles, at Head Plumbing Service Los Angeles Plumbing, we don’t just talk about customer service- we ensure we make it our main concern to be on top of any plumbing issues our customer might be encountered. Our years of combined experience have taught us more than how to fix plumbing issues of your residence or business, it has taught us the significance of putting you first in all that we do. When you call Head Plumbing Service Los Angeles Plumbing, you can rest assured that when we knock on your door, we are ready to deliver a top-notch service and display our expertise by fixing any plumbing related issue you may be encountering. We’ve been serving Los Angeles for so many years and take pride in the relationships that we have built with our long-time customers. We are the world leading residential and commercial plumbing service provider. We are also dedicated to outstanding service and excellent workmanship. We have been providing that level of service since our inception. We are the most innovative and customer service focused 24-hour plumbing service company. Similarly, our professional plumbing technicians are trained in the fields of water heating, and pure water systems. We ensure that all our technicians are the best in their fields. Our technicians and plumbers are some of the most highly skilled individuals amongst other plumbers in the industry. We’ll treat you fairly and do an outstanding job by offering a quick response to your call by sending a courteous, clean, reliable service professional that is diligent and qualified to handle any plumbing related issues. This assists us in being one of the most well-known plumbing service companies in the world. Through our PROFESSIONALISM, We will impress you with our service, complete your job on time and come in under your budget. Head Plumbing Service Los Angeles Plumbing Services is dedicated to the highest level of quality professional service. We always guarantee it. 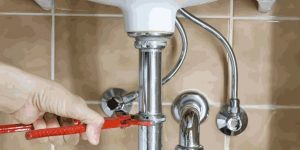 Head Plumbing Service Los Angeles Plumbing is a licensed, bonded and insured plumbing company providing first class plumbing service to Los Angeles, at Head Plumbing Service Los Angeles Plumbing, we don’t just talk about customer service. Copyright © 2018 Head Plumbing Service Los Angeles. All rights reserved.